Fleming’s Prime Steakhouse & Wine Bar launches its Fall Prix Fixe Menu September 28: three tantalizing courses for $39.95. The menu is available at two Chicago area locations: 25 E. Ohio St., Chicago; (312) 329-9463; and 960 Milwaukee Ave., Lincolnshire, IL; (847) 793-0333. In celebration of fall, Fleming’s executive chef Russell Skall has created an innovative three-course dinner inspired by the vibrant flavors of the season. The new Fall Prix Fixe menu offers the choice of appetizer, two entrées and dessert, available now through January 3, 2011. 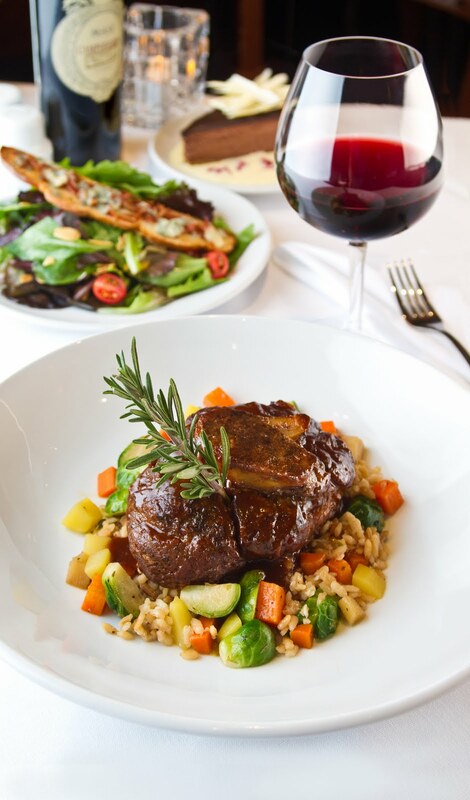 Select from one of two entrées and the option of Oysters Rockefeller or Autumn Salad: Veal Osso Bucco, veal shank served on a creamy risotto with seasonal vegetables; or Cioppino, shrimp, seabass, clams and black mussels in a spicy tomato broth, served with a toasted sourdough crouton. Dessert is a Dark Chocolate Cheesecake served on crème anglaise, topped with raspberry coulis. The nationally acclaimed Fleming’s Prime Steakhouse & Wine Bar offers the best in steakhouse dining – prime meats and chops, fresh fish and poultry, generous salads and side orders—with a unique wine list known as the “Fleming’s 100” that features 100 wines served by the glass. Fleming’s is the recipient of numerous prestigious awards, including Wine Enthusiast’s annual Awards of Distinction and Wine Spectator’s annual Awards of Excellence. For more information visit www.flemingssteakhouse.com.